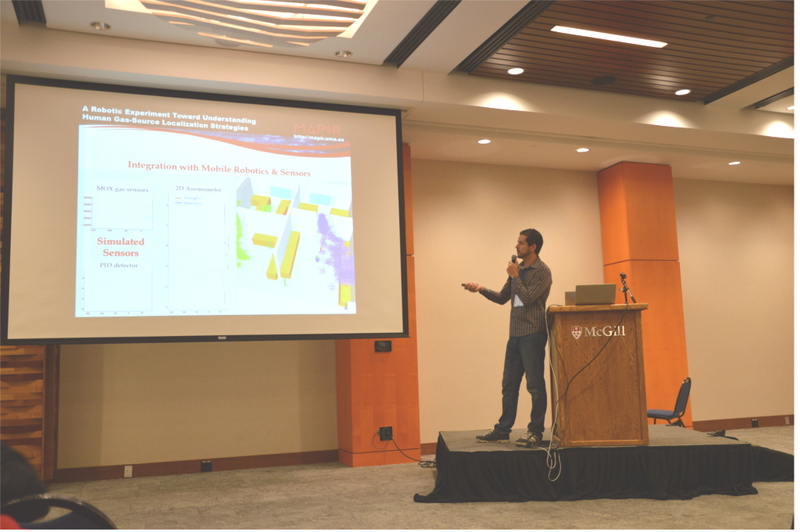 A. Gongora, J. Monroy, J. Gonzalez-Jimenez, "A Robotic Experiment Toward Understanding Human Gas-Source Localization Strategies", International Symposium on Olfaction and Electronic Nose (ISOEN), Montreal (Canada), 2017. J. Monroy, M. Jaimez, J. Gonzalez-Jimenez,"Online Estimation of 2D Wind Maps for Olfactory Robots", International Symposium on Olfaction and Electronic Nose (ISOEN), Montreal (Canada), 2017. Javier Monroy during his talk.